She walked around to look at the artwork. The girl replied, "I'm drawing God." 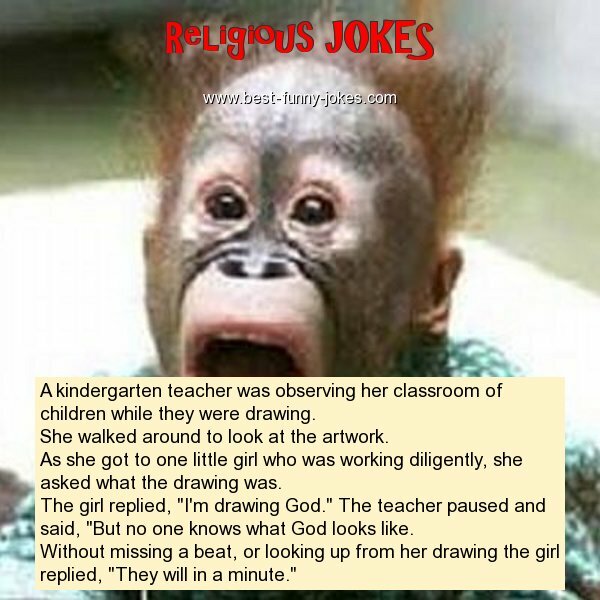 The teacher paused and said, "But no one knows what God looks like.